I tell the librarian I have a few Link+ books on hold. I give him my name. Link+ is the system my library uses to get books not in its collection, from libraries and universities across the state. It’s free. I take advantage. It should be easy enough to write a memoir. You start at the beginning and tell the story. Right? In The Art of Memoir, Mary Karr writes about voice. “Whatever people like about you in the world will manifest itself on the page.” Which makes sense. But what if you don’t know what people like about you? I wish I could say I’m all heart. I wish I could call myself funny. What am I? I think about that and decide I’m all about figuring things out. About fixing things that aren’t working. If you want to get Myers-Briggsy, I’m an INTJ. I like to find better ways of doing things. I like to reverse-engineer stuff, to understand what’s going on under the hood. A tweet of mine from a month ago: Trying to think of a writer who attempts to figure things out, in real time, on the page. Looked up on my shelves and there was Joan Didion. Of course, most writers think on the page in some form. But it’s the “in real time” thing I’m interested in. I’m looking for writers who try to figure things out as they go. Who make leaps and repetitions and omissions on the page. Who help us, as readers, feel we’ve climbed off the page and right into their brains. How does Joan Didion do it? I listen (for the third time?) to the audio version of Blue Nights and make notes when I catch Didion thinking. I read The Year of Magical Thinking for a second time and add to my marginalia. From my journal: Her use of repetition. The tattoo showing through the veil. The cake from Payard. How we understand what she can’t move past. I am trying to figure out how writers show they’re figuring something out. I see the irony in this. The layers. I think about the film Inception. Apparently Christopher Nolan is also an INTJ. Earlier this year I wrote a draft of the first two chapters of my memoir. 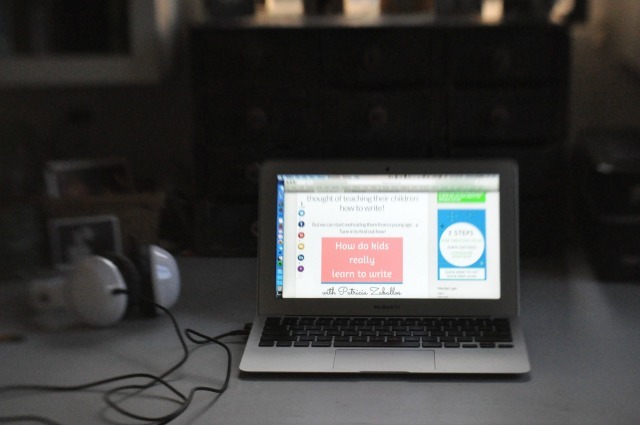 Each chapter about a year of our homeschooling life, each evolving chronologically. This happened, then that happened. The chapters seem amateur to me, but given that I’m an amateur, I can’t figure out why. I find Lori Jakiela via her essay sort-of-about scorpions on Full Grown People. The essay is written in fragments and is smart and funny. I try to find Jakiela’s adoption memoir, Belief Is its own Kind of Truth, Maybe and even Link+ lets me down. I order it online. The memoir is also written in fragments. Also smart and funny. And a little tragic. From my journal: Jakiela uses questions asked of her by actual people—the adoption counselor, say—as an excuse to think on the page. She responds on the page as she doesn’t to the actual counselor, riffing on her mother, her mother’s shoe collection, her mother’s legs, Alex Trebek, the counselor’s dog. We follow her thoughts. It occurs to me that some memoirs are written in the style of novels—played-out scenes, lots of action. Connected dots. Others are written more like essays or short stories. More sections. More white space in between. More inference. I think, who is this Sarah Viren, and how did she get inside my mind? And exactly what is she doing in this post that lets me inside hers? I feel like a Luddite admitting it, but I don’t read a lot of novels. Of course, I’ve been studying essays and memoir, so it makes sense that I’d focus on those formats. Still, I’ve always preferred short-form writing. Essays, short stories. I like the white space. I don’t want everything explained to me. Suddenly I understand why: The white space forces me to figure something out. Why this? Then after the white space, this? Viren mentions several writers who think on the page, and explores how they do it. I pull up a new tab and make my Link+ requests. 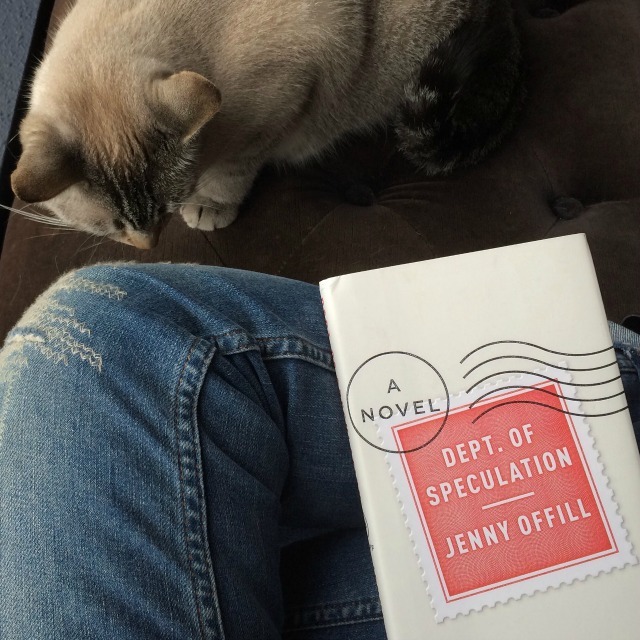 Jenny Offil’s Dept. of Speculation. (Viren explains that the book “is called a novel, but much of that sparse book reads very much like an essay, in large part because of the insularity of its narrative voice and the prominence, and isolation, of the ‘I.’”) Lacy Johnson’s The Other Side. Rivka Galchen’s Little Labors. I request all. During my manuscript consultation at the River Teeth Nonfiction Conference, Kate Hopper suggests, after reading my two draft chapters, that I might not want to write a chapter for each year of our homeschooling life. That I might want to write chapters centered not so much on chronology but theme. I think: rewrite. I think: linked essays. While waiting for the print version of Dept. of Speculation, I check out the audio version, read by Offill, available from the library as an instant download. I download. I listen. I can’t stop listening. The book is written in fragments that seem random. Brief experiences of the narrator. Lines she’s read. Fun facts about the human brain. Odd, but strangely compelling. And then, slowly, the fragments build a narrative. I can’t wait for the physical book to arrive at the library. I need to see the white space. Maybe what I like best about white space in an essay, or a memoir, or, in this case, a novel written in the style of an essayistic memoir, is how the space in between the parts allows some space for me to think. Allows my own thoughts to interact with the narrative. Notes on Offill: A random thought about unnecessary things in Rite Aid makes her flash back to being 16, giving a quick reflection on what she wore and believed. Try that. “Why would you ruin my best thing?” A line repeated later, in a different context. Hits like a rock. I think about the first chapter of my draft. The story of deciding to homeschool in 1996. I want to approach the chapter thematically, as Kate suggested. I want to ditch the chronology. I want to bring readers into my brain, help them see what I was thinking. I want to give the reader space to bring in her own thoughts. From my journal: How Johnson keeps returning to that use of “or” to show how she’s remembering. Or not remembering. The Other Side is also written in fragments. Within chapters, the fragments are pretty much chronological, but the chapters themselves are not. The order of chapters maps Johnson’s thinking. Fascinating. All the way up to the last chapter. Especially at the last chapter. Chronology is a strong pull for me. When I arrange photo albums of trips, I’m a freak about making sure the photos are arranged in the order that they happened, day by day, hour by hour. Why? It’s a test of my memory, maybe. I like to know I can remember things right, that I won’t forget how events played out. But why not group all the gelato photos together? Why not a page of train stations? Or grumpy kid faces? That might tell a better story. I post this photo on Instagram, with this caption: Window seat reading on a rainy day with my girl. I am on a quest to read memoirs written in fragments, and while this is not technically a memoir, it reads like one. It’s a crazy thing that comes together as it goes and is even better on second read. I listened to the audiobook read by the author too. Twice. I’m a little obsessed with figuring out how it works. I am not sure how to classify Rivka Galchen’s Little Labors. Is it a memoir of the time when her daughter was a baby? Is it a collection of micro-essays? Not really. It seems to be a collection of notes about her baby daughter and a bunch of randomness: eleventh century Japanese essayist Sei Shonagon, Godzilla, Rumpelstiltskin, a rude neighbor, a Keanu Reaves movie. To name just a few examples. I get an email update from Brevity announcing their new podcast, which includes an interview with Dani Shapiro. I listen. I listen to the Shapiro interview a second time. And, if I must be honest, to parts of it a third time. I request Shapiro’s memoir Devotion from the library. I read it four years ago and enjoyed it, but this time around I’m surprised to note that the memoir is written in fragments. I’d forgotten. The fragments are longer and more novelistic than most of the others I’ve been reading, but once again the chronology is jumbled. Sections go back and forth in time, arranged, it seems, by association. I go back and try to figure out why each section is rubbing up against the next. I am in Shapiro’s mind. Despite the disordered chronology, I see that as the book progresses, we’re getting somewhere. I email my writing friend Carrie and tell her what I’m up to. She recommends some favorite fragmented memoirs. Abigail Thomas, whom I’ve read. Others, which I haven’t. Alex Lemon’s Happy. Vivian Gornick’s Fierce Attachments. I only have to type “B” in my search engine and the Berkeley Public Library home page autofills. 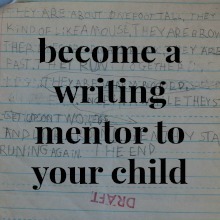 How do you write a memoir? How do I write a memoir? Long sections? Short sections? Straight chronology? Scrambled? I keep ordering memoirs. I keep searching out ones with white space. I don’t have to tell the librarian my name. I just walk up to the desk and smile. I reread the journal from the year we decided to homeschool. I write random bits. I try not to think chronologically. I try not to think about outcome. Just bits. So many memoirs with answers in the white space. I write my bits and hope the space in between will answer my questions too. Wow. Nicely written. Perhaps your need to script the story will figure itself out once you stop researching. Until then, look at all you’re teaching yourself. I admire your dedication to see this through. I’m in the same boat, just a different medium. How will you tell your story? Listen for the inner dialogue that tells you what to do next, and trust yourself. You’re forging a path to understanding. Try and enjoy the process. Ha! I’m afraid I’ll never stop researching. Well, I won’t stop reading, but maybe I’ll stop trying so hard to find answers in my reading. It’s so interesting to consider that we’re doing the same thing, just in different mediums. I think you only truly realize how many ways there are to tell a story when you try to tell your own–I know you get that! I am enjoying the process, at least. Trying to stop trying so hard to find “the” way, and to let the telling evolve on its own. Thanks for the encouragement, dear friend! Every word of this resonates. I was going to suggest Thomas’s Safekeeping and also Annie Dillard’s For The Time Being. Definitely your thoughts reminded me of Dani and then you mentioned Devotion. I’ve been fortunate to be a student of Dani’s and she specifically talks about about the white spaces and the ways that fragments interact with each other, dialog with each other. Her new one, Hourglass, is very much the same way. So is Still Writing. I can’t wait to read your memoir!! I’m happy you can relate to this, Lindsey. I guess my random thoughts must be working in that regard. 🙂 And thanks for the recommendations! I have read Safekeeping, and also much Dillard–but not that one. How lucky you are to have been a student of Dani’s! I read a little about her thoughts on writing Devotion. She said that except for a few changes, she wrote the fragments in the order that they appeared in the book. I found that fascinating and a little intimidating! So excited to read Hourglass. Thanks for stopping by and chatting! Ah, I love this, Patricia! I’m right with you, trying to figure out some similar things. I’ve read some of what you mention, and now am eager to read the rest. Was going to suggest Abigail Thomas, in particular What Comes Next And How To Like It, as it’s my favorite recent example of the fragmented story that builds a narrative, full and slim at the same time, and brilliant white space. Hope to connect in more depth soon. Hey there, Jessica! Yes, I’ll bet you’re trying to figure some of this out! Isn’t it baffling, how many ways there are to tell a story? I felt like I knew where I was going when we took that class, but it only gets more confusing the more I dig in. I loved What Comes Next and How to Like it. That was another one I heard read by the author, and I will now always hear Abigail Thomas’ voice when I read her. 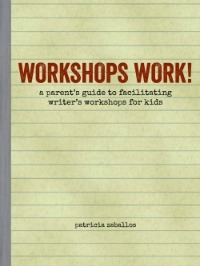 I want to hear about your workshop with Beth Kephart! OOh, I got this last night and knew it had to wait until I was sitting with a cup of tea and no children around so I could absorb whatever you were going to share. So glad I waited…. I love to see what is happening in your world (and head) and I hope this process is enjoyable to you and you are giving all that you read time for it to sink in rather than rushing from one book to the next to devour it. White space, white time, tea time. Savor it all. Happy November! How pleasing to be enjoyed with a cup of tea! 🙂 Thank you, Cathy. I am definitely savoring, with lots of highlights and note-taking! I’ve been putting so much pressure on myself to just write this thing but I’m discovering that it’s probably better to take my time, and let the format evolve organically. Thank you for always showing up here and encouraging me! Discovering “The Gift of an Ordinary Day” by Katrina Kenison started my love of the form, before that it always seemed self indulgent. More recently I read “Darling Days” by iO Tillett Wright- New York in the 90’s. 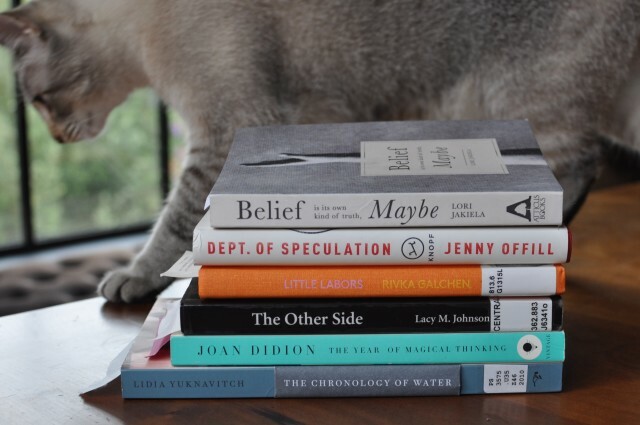 What I’ve been thinking about lately is where the line between essays and memoir sits. I’m currently reading “Known and Strange Things” by Teju Cole which are essays, through out them you get some sense of his life but seen through various themes. If you write thematically does it become essays rather than memoir? There also seems to be a sexist element to the view of memoir (unless it involves a war or a kitchen), which leads to a whole other tangent that I won’t go on. Thank you again for writing a post that makes me think about things. For me, I think I struggled with trying to write in a novelistic style–I’ve always thought of myself as an essayist. Now I’m finding myself drawn to memoirs that are written more like lyric essays–even thought they’re considered memoirs. How’s that for an answer that doesn’t answer anything! Yes, let’s not talk about those people who think memoirs are lowly writing written by women! Memoirs are often thought of as self-indulgent, but the best ones help readers consider their own lives, I think. They’re a form of communication and conversation. That’s the sort of memoir I’d love to write, but it sure isn’t easy! On a side note: my hold list at the library just got a lot longer. Patricia, I love this, and you’re doing it! You’re doing this incredibly hard work of writing and reading your way into form and style. It’s going to be incredible! The knowing will come from the doing. At least, that’s what I’m telling myself. One thing I’ve actually found liberating is to look at what writers in genres different from mine are doing to solve the kinds of problems I’m wrestling with–like, I’ve actually gotten some cool ideas about how to work background information into the narrative from The Hunger Games trilogy. That has jogged my brain into new grooves in some cases instead of just rehashing the same few paragraphs and just tweaking them a little. I’ll look forward to hearing more about your progress! You’ve got this! I love that, Carrie. I agree that we often find answers when we look outside our typical scope–and when we aren’t trying so hard! That’s so great that you’re finding answers in fiction. A good reminder! I love when a post and the conversations stick with me. Six months later I’ve come back to this post to get some inspiration for a book talk I’m giving next week on Memoir. Ooh, a book talk on memoir! What will you be discussing? A few of my favorites since writing this post have been Love and Trouble by Claire Dederer (thrilled about that one because the chapters each take on different forms, which is what I finally decided to do with my own memoir), Abandon Me by Melissa Febos, Riverine by Angela Palm, Hourglass by Dani Shapiro. Thank you for rereading, Stacey, and especially for taking the time to tell me that you did! On a side note, next weekend I’m hosting an event with Dani Shapiro. Oh, lucky you! I’ve seen her twice on this book tour–once in a local bookstore, and last weekend in conversation with Hannah Tinti at the Bay Area Book Festival. And just *today* I listened to a fantastic interview with her on the podcast Between the Covers. http://www.davidnaimon.com/2017/06/07/dani-shapiro-hourglass/ Do you listen to that podcast? It’s my favorite one on writing because David Naimon is such an excellent interviewer and the craft discussions go deep. Hope your event is wonderful! Ooh! Thanks I’ll have to listen to that this weekend. I enjoyed reading this and can relate. I obsessively study CNF craft. I’m rereading many favorites, like you, to try to figure out how they work. Thanks for this great post.